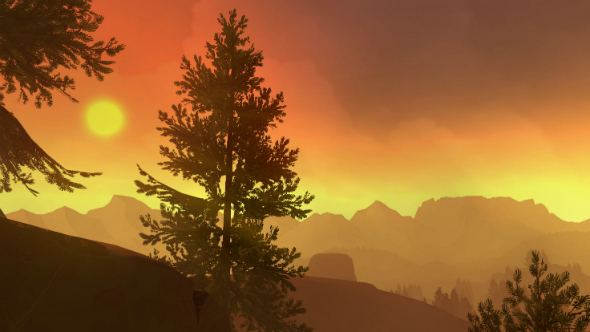 At some point over the past two years videogames became prettier than reality. Developers handcraft every element of the game world to ensure it’s as visually arresting as possible, from picture perfect sunsets and shimmering vistas to apocalyptic hellscapes and funereal scenes of urban decay. The worlds of sandbox games have developed to the stage where there are stories to be told and experienced in every crumbled structure, wall mural and NPC. Increasingly, open-world games are taking on the subtleties and nuances of real worlds – so how about developers give players the tools to document those worlds more fully and freely with the help of a photo mode? Speaking of open worlds, here are the best sandbox games on PC. The past year has given us every photographic scenario imaginable. Steep gave us extreme sports in the swiss alps; Watch Dogs 2 served up the home of hipster with its detailed replication of San Francisco; Ghost Recon Wildlands presented us with impoverished rural communities living under the heel of an oppressive narco-state; No Man’s Sky went a few steps further with its nearly infinite universe of abstract and surreal planets. Then there was Firewatch’s Wyoming wilderness, Mafia III ’s approximation of 1960s New Orleans and, if you’ve strayed into Sony-exclusive Horizon: Zero Dawn, even robot dinosaurs. 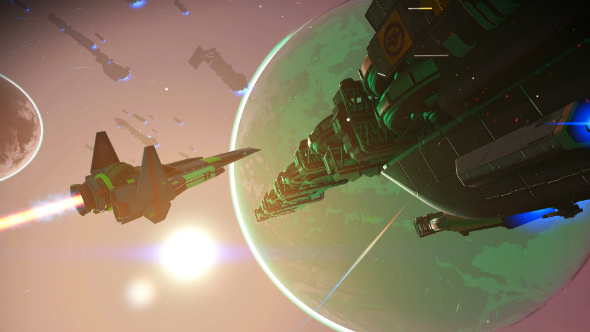 Of those, only Horizon: Zero Dawn shipped with a comprehensive photo mode, with No Man’s Sky’s dedicated galaxy-snapping tools arriving earlier this month and Firewatch putting its own spin on things with its in-game disposable camera. Screenshots alone don’t do any of these worlds justice, forcing the player to wrestle through the game’s HUD, screen effects and markers to even find a subject, and all the while the game world is hurtling along without you. You’ll miss the best action by half a second, blot out beautiful views with your square-jawed spec ops hero and constantly miss the minutiae that makes these worlds so convincing. Admittedly, a sophisticated photo mode isn’t exactly an easy feature to sell to hard-pushed developers who are busy ironing out the kinks in their creations. 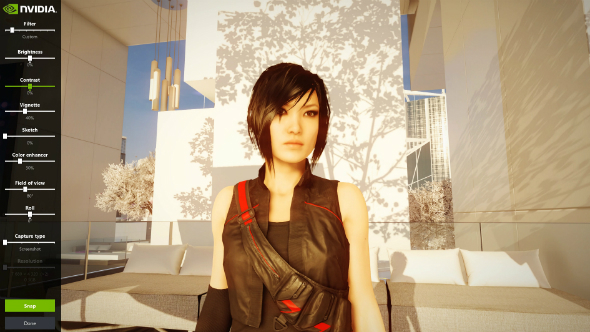 However, in a commercial world where success increasingly hinges on shareability, giving players the ability to take pristine, unique and even poignant in-game photos is a feature that’s increasingly valuable. Considering the amount of effort that goes into perfecting a game’s lighting, particle effects, animations, character models and textures, why isn’t a photo mode that allows players to enjoy and examine every detail higher up on the feature lists of developers? Open world and sandbox games embody and perpetuate player freedom: they’re all about laying down world systems that exist and function on their own, but that react realistically when players intervene with them. There’s an enormous amount of scope in these worlds for virtual photographers to explore, whether that’s chronicling the plight of homeless NPCs, or capturing dramatic landscapes and action set pieces. 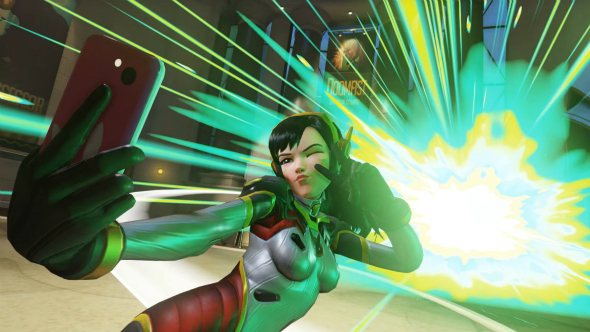 The tools exist separately from the gameplay, but they complement it by letting players bring their own creativity and flair to it at any given moment. This is particularly true of a game’s more mundane elements: driving between objectives, finding yourself stranded in the middle of nowhere, walking the streets. These sections of open-world tedium are often treated as a means to an end, but a photo mode lets players become distracted by what’s around them rather than the waypoint on their map. 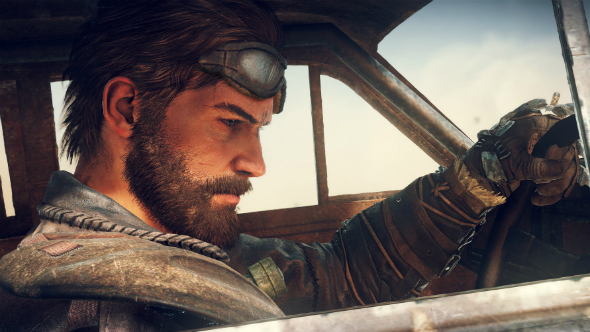 Avalanche Studios’ Mad Max is an example of a game that benefits greatly from having a photo mode. In a game that quickly descends into marking objectives off a post-apocalyptic checklist, having the ability to pause whenever the sky looks particularly abyssal is invaluable. Of course part of that is thanks to the game’s remarkably accomplished aesthetic – it’s really just one endless reel of gritty, end of the world concept art, with some side quests sprinkled on top – a photo mode allows players to manipulate and craft their own narratives out of any scene. If you’ve played Mad Max you’ll be all too familiar with the incessant hunt for fuel it starts players on. Hunting down and lugging jerrycans around a gigantic dust bowl isn’t fun, but by being able to take yourself out of that moment and look at it from a different perspective – that of a grizzled Max trudging through the sand, sun beating down on him and sapping his energy, hauling a heavy jerrycan with him just so he can continue his hopeless quest – the player is able to make something interesting and meaningful out of an experience that’s objectively humdrum. Apply that to a game that the player truly adores and a photo mode becomes much more than a means of enhancing a game’s everyday qualities, it’s a tool for capturing what makes it special for the player. I yearned for a better means of taking in-game photos when Fallout 3 came out, something more than vistas of the Capital Wasteland obscured by a glowing HUD and the dull textures of a Hunting Rifle. I wanted to take photos in that world: photos of the towering freeways, a popular concept for the car-centric American city of the future; ghouls, those post-human creatures with memories of the world before it was consumed by nuclear hellfire; and Big Town, the settlement of downtrodden youths beset by daily raids from super mutants and slavers. Granted, Fallout 3 wasn’t a pretty game, but at the time I’d have given anything to be able to print out in-game photos from that world and plaster my walls with them. I stopped playing Fallout 3 after I had seen everything there was to see there, had it launched with a photo mode I’d probably still be coming back to it on a weekly basis. Popular photo mode mods for games like The Witcher III: Wild Hunt, Just Cause 3, Grand Theft Auto V, Skyrim and Fallout 4 show there’s plenty of demand for more accessible camera tools that don’t require the player to dive into the console commands for minutes at a time. On PC we’re fortunate enough to be able to break the in-game camera settings if we really, really want to, but it’s still nowhere near as easy as it should be. For games without mod support, which is pretty much any title that falls under the jurisdiction of Uplay or Origin, even basic mods that let you free the in-game camera are out of the question. Nvidia have proffered a more universal solution with Ansel, which lets PC gamers of the green team persuasion take screenshots in supported games with full 360-degree camera control and heaps of post-processing effects. It’s an elegant solution where it’s been implemented, but yet again it falls on game developers to include the code in their game and so far only twelve titles use the feature. Imagine how limited your screenshot options would be if you were a console gamer. 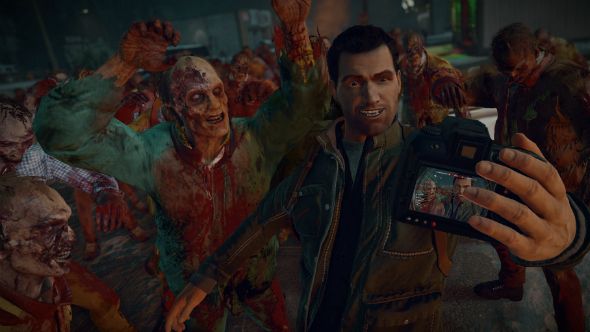 It doesn’t need to be contextually worked into the game like Dead Rising 4’s selfie photo mode or Firewatch’s charming scavenged disposable, it just needs to be functional. 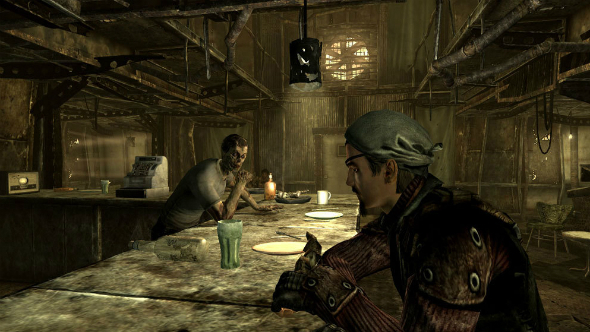 For the player it’s an entirely optional means of connecting to a game world, the ability to capture a scene or mood and take it out of a closed environment and into the real world. For developers it’s a chance to see all that hard work appreciated by more than just the dedicated few players who are able and willing to break a game engine for the sake of some screenshots. Finally there’s the publishers, who stand to gain a grass roots marketing boost for next to nothing. Everybody wins, so here’s hoping more publishers and developers consider this humble feature moving forward. What’s your take on photo modes in games? Let us know in the comments below.